Our National Parks were started with Yellowstone National Park in 1872 but in 1864 the United States Congress gave the Yosemite Valley to the state of California for preservation as a state park. 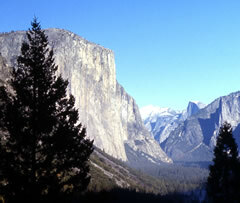 Yosemite was finally made a National Park in 1890. © 2006-Present. All rights reserved. We agree with the mission and activities of the NPCA and the NPS but are not in any way affiliated with them.